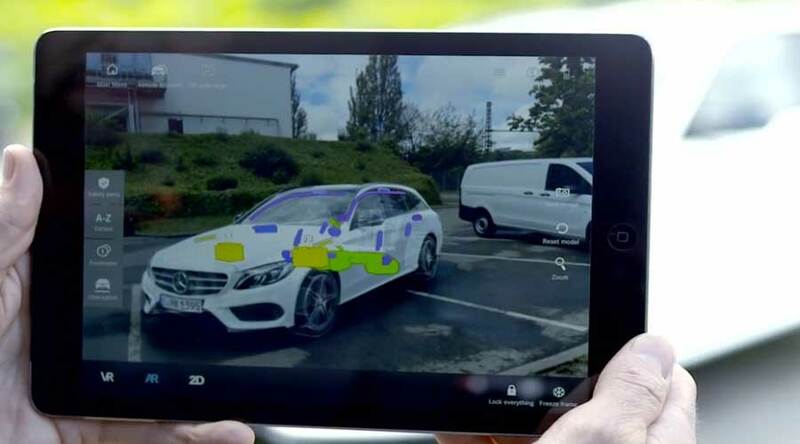 How Mercedes-Benz Digital Rescue Assistant Help Emergency services? Mercedes Benz, the German luxury car maker, is bringing and adopting several new technologies. Specifically, there is always a priority for the safety of the occupants. The new Digital Rescue Assistant system ensures the safety of the passengers. And, it also helps the rescue teams in emergency situations like a fatal collision. In emergency situations, the Digital Rescue Assistant gives a clear understanding of the situation which saves time. Hence, passengers can get out of the vehicle very quickly saving precious time in an accident. The system works together perfectly. The system works specifically by means of rescue stickers. Every rescue sticker has QR code which has a direct link to right rescue card for each vehicle. The rescue assist app is available on leading mobile platforms for free. 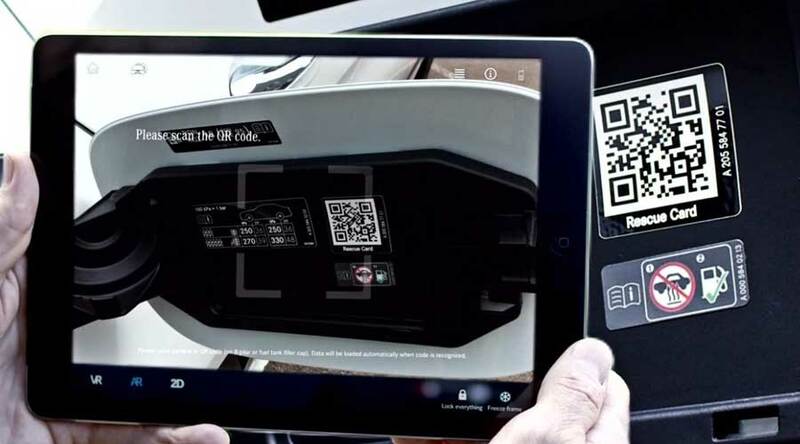 So, we can point the smartphone to rescue card and will get direct safety-related information as well as three-dimensional views of the vehicle in the app itself. All this information is available offline. Hence, the app will still work in remote areas where there is no network or no working data connection. All of this is to ensure greater safety in case of emergency situations. This will help the rescue assistance teams so that the teams can decide where to cut and where not to cut when the vehicle is critically damaged. Thus, they can help passengers to get out of the car quickly. The rescue stickers are the adhesive labels with QR codes. These labels are applied at two places. One is inside the fuel filler flap and another is on the opposite B-Pillar. Both places, according to research, remain largely undamaged during accidents. The rescue assist app helps in getting the right information quickly. Rescue teams can scan the QR code and get the right rescue card immediately. These cards contain important information about safety-related components like Airbag, Fuel line, Batteries, Electrical lines, Fuel Tank etc. In case of electric vehicles, high voltage components are also clearly displayed. With all these features, Mercedes Benz is far ahead when it comes to passenger safety and ease in rescue operations. 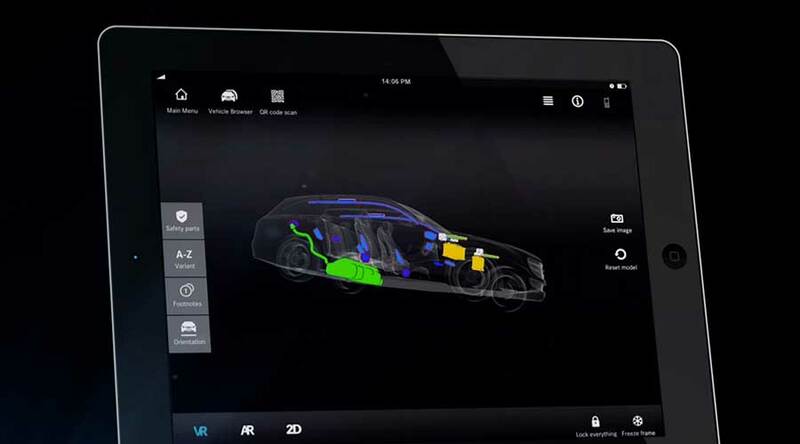 Home » Technical Anatomy » What is Mercedes Benz Digital Rescue Assistant? What is a Limousine and what are its main features? Know More. i3S Technology: What does it mean and How this Technology Works? How Traffic Sign Assist works in a car?